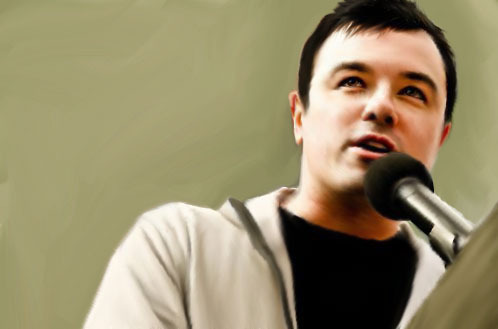 Seth MacFarlane Painting. As the author describes: ''I love Seth MacFarlane! This was actually a side project I was working on while I was painting something else.''. Wallpaper and background images in the Seth MacFarlane club tagged: seth macfarlane painting. This Seth MacFarlane fan art might contain concert.